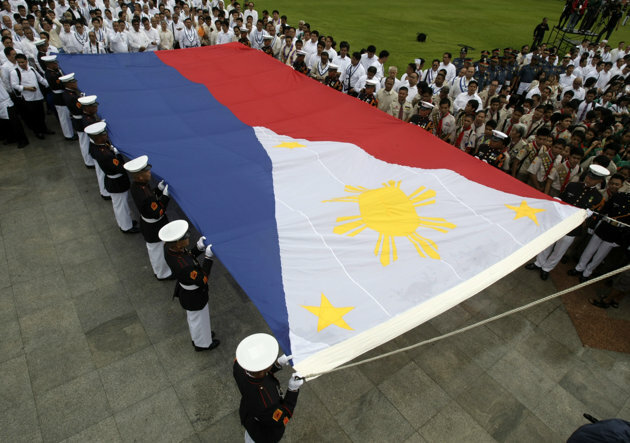 The House of Representatives has approved a bill making it compulsory to sing the Philippine national anthem “with fervour”. “The singing shall be mandatory and must be done with fervour,” the bill states. The word “mandatory” is not including in existing legislation. The BBC has also reported that an official version of the tune has been stipulated, which must be followed at all times. Anyone breaking the rules could face a fine of up to 100,000 pesos. Under existing laws, acts that dishonour the national anthem can be punished by fines of up to 20,000 pesos. The bill stipulates that offenders would be issued a warning before being publicly “named and shamed” in a national newspaper. “Any act which casts contempt, dishonour or ridicule upon the national anthem shall be penalised,” the bill says. The bill makes a wide range of other stipulations, including that everyone must stand and salute when the first note of the song, Lupang Hinirang (Chosen Land or Land of the Morning), is played – and requiring the school system to ensure every student memorises the words. It has now been sent to the Senate for approval. Commenting on an earlier version of the bill in April, one of its authors, Maximo Rodriguez Jr, said disrespecting the national anthem often happened in cinemas, where customers do not stand for the anthem. “The national anthem embodies and expresses the aspirations, dreams, ideals, longings, commitment and determination, nationalism and patriotism, sentiment and spirit of the people,” he said. The same bill, known as the revised flag and heraldic code, contains many other rules about the display of the national flag, oaths of allegiance and other national symbols. It includes several proposals from a 2010 draft to criminalise improper singing of the national anthem, including a strict requirement to keep the timing between 100 and 120 beats per minute. The anthem was written in 1898 by Julian Felipe.